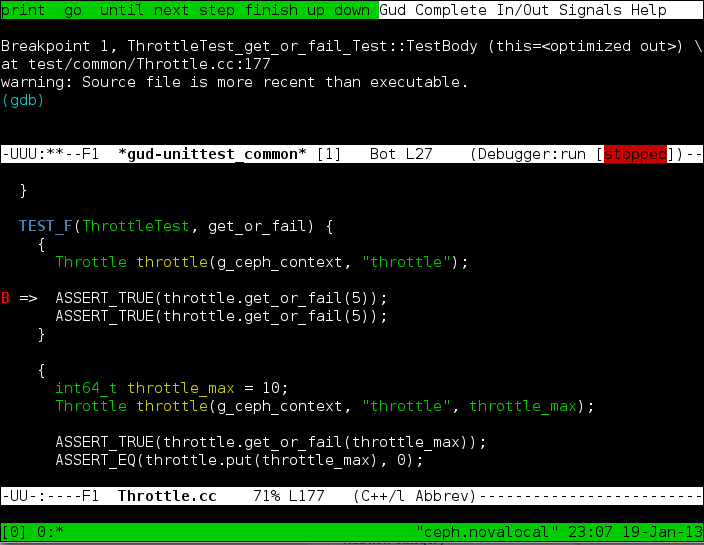 The throttle implementation for ceph can be unit tested using threads when it needs to block. 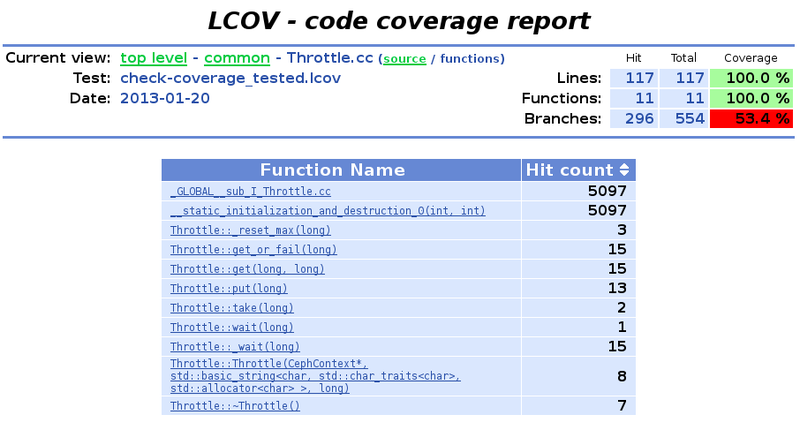 The gtest framework produces coverage information to lcov showing that 100% of the lines of code are covered. the source is located in a subdirectory of test matching the location of the source being tested in the src directory, i.e. common. which will call the entry function in the thread while the Thread_get constructor is called within the main thread. There is no convenient way to check if a thread is asleep from the main thread. Instead, the main thread goes to sleep ( see usleep(delay); below) and expects the thread to be asleep when it wakes up. However, there is no guarantee that it will actually happen because it may take longer than delay for the thread to go to sleep. The main thread will notice that the expected event did not happen ( waited is false ) and increase the delay to give more time to the thread. It may loop forever if the thread never goes to sleep because of a bug. Either way, it will only end the loop if the expected sequence of event occured. * GNU Library Public License for more details. He is also responsible for checking with his employer that such a publication is authorized and must follow the ceph rules for submitting patches. In the above example, the copyright belongs to the company ( cloudwatt ) and the author of the work ( moral rights ) is also listed.